Summary: A rich but jealous man hires a private investigator to kill his cheating wife and her new man. But, when blood is involved, nothing is simple. Blood Simple is a 1984 crime thriller film directed by Joel Coen. Co-written by Joel and Ethan Coen, Blood Simple is also the first major collaboration of the Coen brothers. Speaking of first-timers, another person to kick start his career with the film is the cinematographer Barry Sonnenfeld. 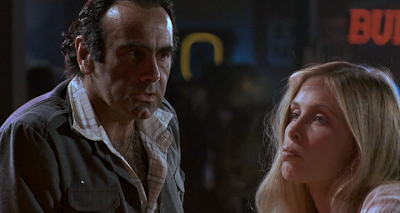 The movie stars M. Emmet Walsh, John Getz, Frances McDormand, and Dan Hedaya in the major roles. Blood Simple oozes with a kind of nervous energy that one generally associates with debut works of ambitious young artists who are keen on making a lasting first impression. And remarkably the Coens succeeded in achieving just that with Blood Simple. Over the years so much has already been said and written about Coen brothers’ ingenious filmmaking style perpetuated through Blood Simple—which is now looked upon as an archetype in neo-noir crime genre—that almost everything that one says or writes today about it may sound like a cliché. And yet it would only amount to remissness if one eschews from assessing the various aspects that makes the style indispensable and Blood Simple an important work of cinema. Before proceeding any further it’s essential to shed some light on the movie’s deceptively simple plot. Blood Simple’s plot basically revolves around the four major characters: Julian Marty—the rich and jealous husband; Abby—the rich man’s coquettish wife; Ray—the rich man’s employee who falls in love with the wife. Loren Visser—the private eye hired by the rich man to monitor his wife’s movements. When the Visser furnishes Marty the evidence of his wife’s infidelity, Marty has a tough time trying to come to terms with the abysmal reality. He goes to the local motel where Abby and Ray are staying and tries to confront his wife. But, things go awry and he is forced to flee from the scene. Marty meets Visser and offers him a hefty fee of $10,000 for killing both Abby and Ray. Needless to say, Visser accepts the offer gleefully. But, Visser seems to have plans of his own, only far more sinister and grandiose. Visser’s questionable actions trigger mayhem as all four of them find themselves trapped in a maelstrom of endless confusion, misunderstanding, betrayal, and death. The Coens have a rare gift for storytelling. In fact, they are the undisputed kings when it comes to penning down the next door apathetic characters caught in chaotic, often disastrous yet deviously funny scenarios, invariably brought upon them by the direct or indirect consequences of their own actions. But, the dialogue is always the most interesting part their films. The characters often indulge in seemingly meaningless conversations as if trying to prepare themselves for the impending doom. The deft camerawork always serves to be the icing on the cake. In Blood Simple, characters assume things trusting their judgment, which more often than not turns out to be less sound than expected. And they end up paying heavily for their overconfidence and braggadocio. Like any quintessential Coen brothers film, Blood Simple too has a strong undercurrent of dark humor that makes it superior to most films of its kind. Such is the skill of Coens that they often make their characters look ridiculously naïve to their audience. Take, for example, the case of Blood Simple: the audience throughout remains privy to the information that the characters themselves are completely aware of, and it’s for this very reason that their actions seem stupid, even funny at times. The underlining strength of films of Ethan and Joel Coen is the immaculate balance between the technical and emotional elements. Needless to say, Blood Simple is equally brilliant on both these fronts. Barry Sonnenfeld’s cinematography seems quite detailed, elaborate but settled throughout the film. However, there are certain experimental shots—especially, the final few ones of the movie—which speak highly of both his and Joel Coen’s creative genius. Carter Burwell’s music blends wonderfully well with the movie’s dark and eerie tone. 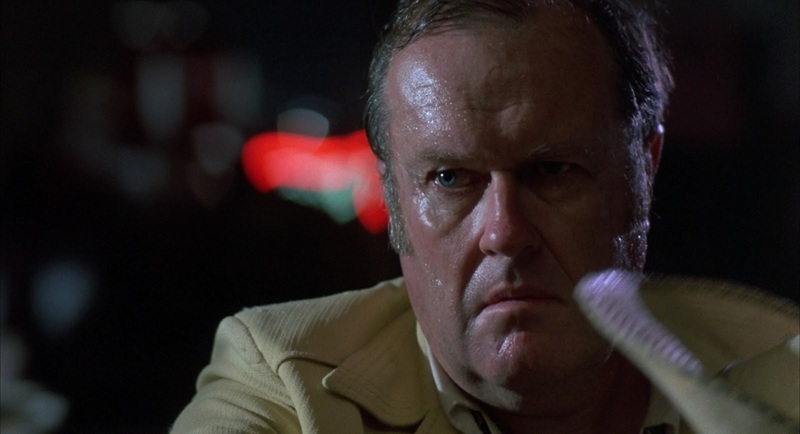 The acting is above-average with the exception of the seasoned character actor M. Emmet Walsh who plays the part of the unscrupulous, menacing private detective Loren Visser with awe-inspiring brilliance. The movie has several unforgettable sequences: be it for their raw intensity while others for their incredible insanity. One such scene takes place near the end of the film wherein the hand of a man who’s standing in one room gets nailed to the windowsill in another room. There is another in which it becomes all but impossible for a man to dispose of a dead body. 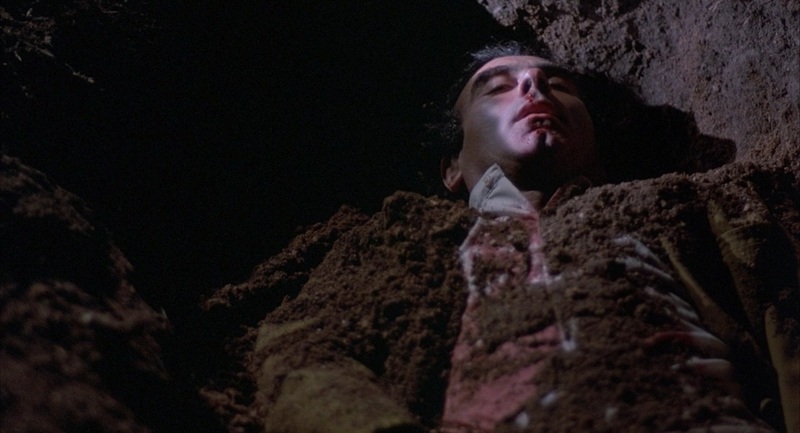 Overall, Blood Simple is an endlessly fascinating work of cinema that gets better with each viewing. The plot of the movie appears so simple that an uninitiated or a casual viewer might easily commit the blunder of regarding some of the essential plot elements as trivial. This error in judgement makes the subsequent viewings altogether more important. The greatest strength of the Coen brothers has been their ability to make films that are simultaneously entertaining and critically worthy, which often helps blur the lines between commercial and art-house cinema. A unique facet of the Coens brother’s work is based on their remarkable ability to take inspiration from the classic works of literature and cinema and subsequently be able to draw meaningful parallels. Take, for example, the case of “O Brother, Where Art Thou?” which seems average at best until one realizes that the Coens have actually based it upon Homer’s “Odyssey”—with the Greek heroes being cleverly reduced to modern-day prisoners on the loose. That’s when one actually starts to admire their ingenuity. Over the last three decades, the Coens have made some very fine films like Miller's Crossing (1990), Barton Fink (1991), Fargo (1996), The Big Lebowski (1998), O Brother, Where Art Thou? (2000), The Man Who Wasn't There (2001), No Country for Old Men (2007), etc., but to this critic Blood Simple still remains their best work till date. 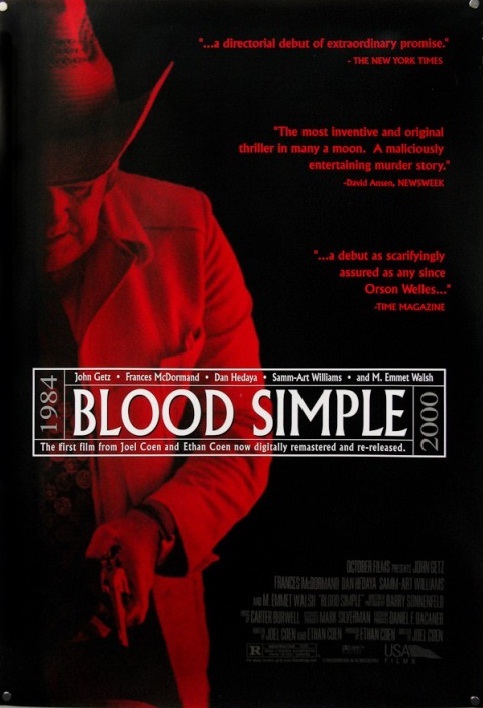 Blood Simple is quite high on gore and those with weak hearts should ideally stay away from it. Blood Simple offers enough food for thought for the intelligent audience to ruminate upon… and simultaneously, it is entertainment galore. Highly recommended!